Forthcoming: The Habitat of the Dartford Warbler – Three middle-aged men, apparently unknown to each other and in three seemingly unconnected incidents, disappear from their homes in the space of a few days. What does this have to do with an estate agent, a nightclub tribute act, and a teenage boy? I’m working on it. In January 2018 my story Old was placed third in the Southport Writers’ Circle annual short story competition, judged by Joanne Reardon. Joanne studied Creative Writing at UEA and Lancaster University and is now a Lecturer in Creative Writing at the Open University. She also writes for radio where she was a Producer for many years at BBC Radio Drama. Entries to the competition arrived from around the UK as well as internationally, with France, Spain and New Zealand also represented. 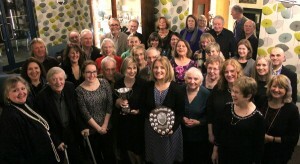 Joanne said of Old that it was “a moving story where moment by moment emotions find themselves poised on a knife’s edge as though one wrong word or move could break the carefully wrought tension.” First and second places went to Valerie Bowes and Richard Stephenson respectively. What’s happening? 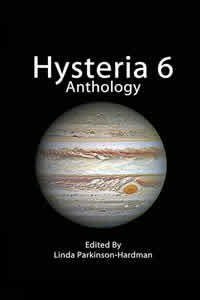 My short story The Jar of Ideas has been shortlisted in this year’s Hysteria competition and is included in the 2017 anthology, available from the Hysteria website for only £5.50. An entertaining selection of poems, short stories and flash fiction, these books make great gifts and all proceeds go to a good cause. Ahead of the formal launch in September, I am excited to tell you that, for the very first time the historic town of Hastings will have its own literary festival, starting on Friday 31st August and the weekend of 1st & 2nd September 2018. The event is being organized by writers for writers of all abilities and in all genres, and will feature the first crowd-judged online international story competition.There will be workshops, talks by prominent authors, live performances and the chance to meet publishers and agents. Whether you are an aspiring author or would just like to try your hand at poetry or songwriting, Hastings Litfest will connect you with like-minded individuals. Events will take place at venues from the Old Town in Hastings – popular with artists and home to the Jerwood Gallery – to St Leonards. If you would like to speak, present or take part in a panel discussion; if you would like the opportunity to sell your books, or if you just want to meet writer friends and soak up the Hastings atmosphere, you can register your interest with the organizing team via the LitFest Website. Individuals or companies wanting to sponsor an event or offer their services to LitFest visitors, please also contact us via the website. The HWG 2016 charity anthology Seawords is now available from local outlets and to order online. 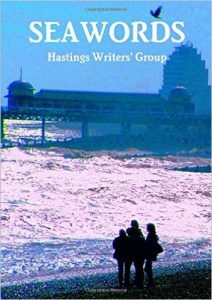 All profits go to Hastings Pier Restoration, so please show your support for Hastings’ writers and help support this historic structure. Two of my short stories: All Saints and Kippers Can’t Swim are included in the anthology. Available from Hastings Pier, Tourist Information Centre, Aquila House and Amazon. I am delighted to be runner-up in the Plymouth Writers Group International Writing Competition 2016 for short stories up to 2,000 words. There were 118 entries from the UK and countries including Australia, USA, France, Germany, Italy, Canada, South Africa, Portugal, Luxembourg, Switzerland and Bulgaria. The competition was judged by a joint team from the Creative Writing Department of Plymouth University and Plymouth Writers Group, and Plymouth’s Poet Laureate, Mike Sullivan, oversaw the adjudication process. Transmission will be included in the next Plymouth Writers Group Anthology to be published in the Autumn of 2016. All Saints was awarded first place and the Catherine Cookson Cup in the annual competition for short stories under 3,000 words. 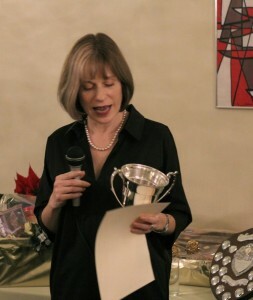 The Judge was Sarah O’Halloran of the Madeleine Milburn Literary Agency. My story, Out for the Count has been shortlisted for this year’s competition. Last year my story Battersea was also shortlisted. Shortlisted but unfortunately not placed. The Judge was novelist and broadcaster Rhidian Brook. 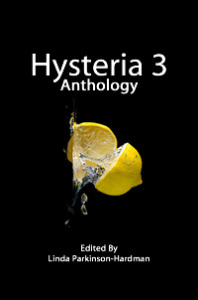 The Gift is available from the Hysterectomy Association website as part of their anthology, Hysteria 3. The association says of the anthology, “Each of these outstanding entries from the 2014 Hysteria Writing Competition is designed by the authors, writers and poets to entertain, stimulate and provoke the reader. The competition’s theme is Women and each winner has reflected a very different aspect of the glorious, touching and amazing female experience. Cut Out is now available to pre-order for kindle on Amazon, with the formal launch on 6th June 2018. ROADKILL is available as an e-book and now as a paperback. What would you do if you were driving along a country lane one night and discovered a man lying dead in the road? Jack and Cookie Garrity do something nobody – certainly not the killer – could have expected. Click the image to order Kindle version or here for the paperback.